During Devoxx Morocco 2017, NAO and myself did present to the children and their parents why it is important to teach programming in school. Note: Video is in French. JavaOne4Kids 2015 – Devoxx4Kids and Oracle Academy Together ! 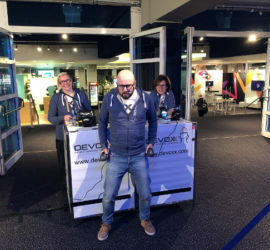 Arun Gupta, Devoxx4Kids USA founder, just wrote a blog post regarding the results of the amazing event that happen in September this year (2015). His post show some very interesting results of the survey done after the event. Enjoy the read.